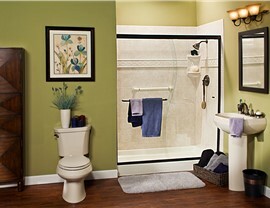 Our surrounds are designed to be both low-maintenance and beautiful! 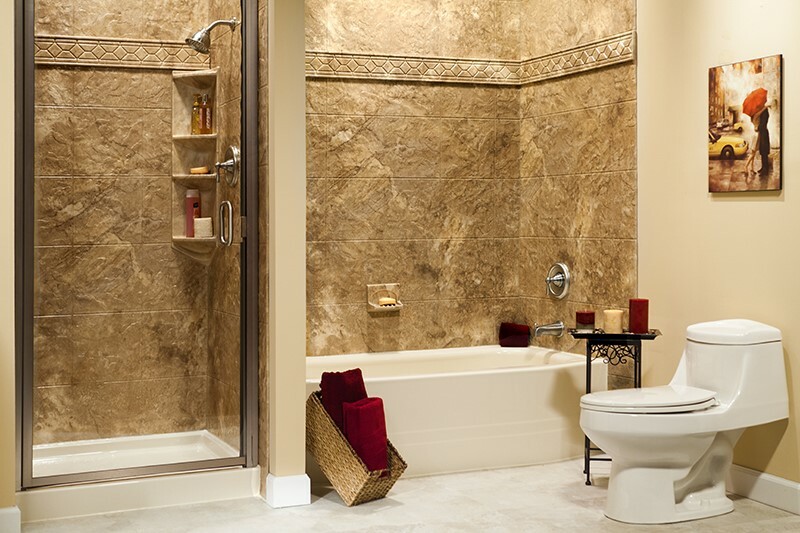 There are a lot of features to consider in any bathroom remodel, and your tub walls are one of the most visible and cost-effective ways to make an impact on the overall style and cleanliness of your space. While traditional bath surrounds can become grimy, mildewed, and damaged from moisture, you'll never have those problems with the products from Center Point Renovations! We only offer top-quality bath wall surrounds to Dallas homeowners, and our certified remodelers can help you choose the ideal solution to create a modern, stunning bath that you'll love spending time in. 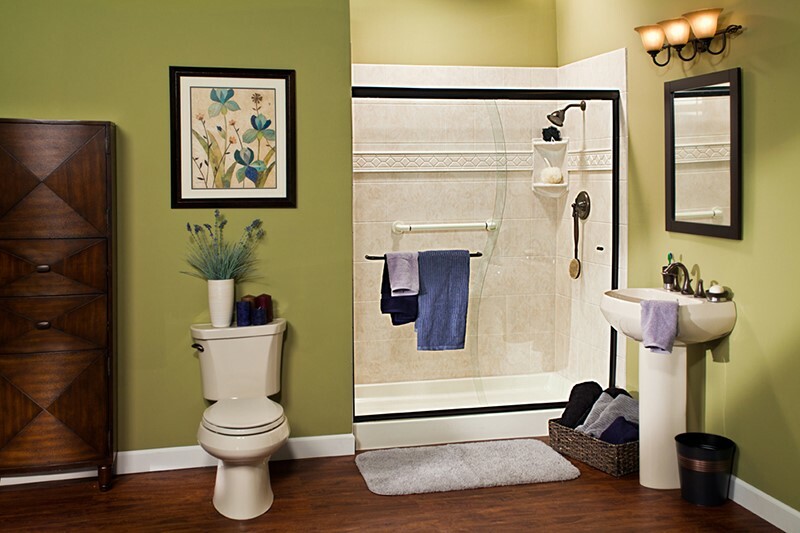 Finding bathtub enclosures that perfectly complement your new space and don't require excessive maintenance can be a challenge, but that is exactly what you'll find with the products from Center Point Renovations. 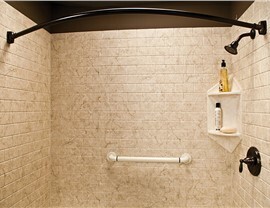 Our bath wall surrounds offer the best in custom style and low-maintenance upkeep, and our expert installers can even install your new surround in as little as one day to minimize the impact on your daily routine! Low Maintenance: Crafted from nonporous acrylic infused with advanced properties, our bathtub surrounds eliminate the need for constant cleaning and upkeep. 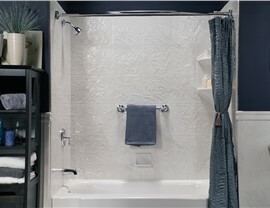 Durable: We use grout-free installation techniques, top-grade acrylic, and custom measurements to ensure that your new tub walls hold up to decades of wear and tear. 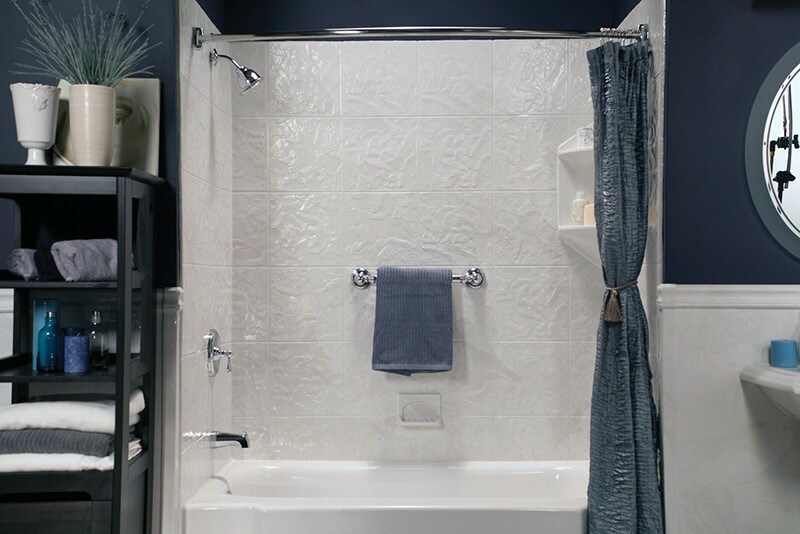 Stylish: The sky is the limit when designing a tub surround to match your home's aesthetic, and we offer an impressive selection of colors, styles, patterns, and accessories to choose from. 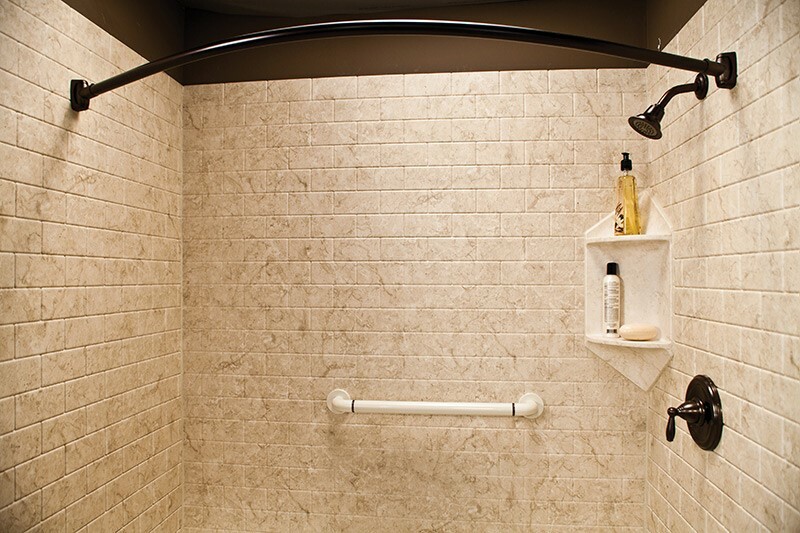 Guaranteed: All of the tubs, surrounds, and other bath products we supply and install have earned the Good Housekeeping Seal and are backed by lifetime warranties for your peace of mind! 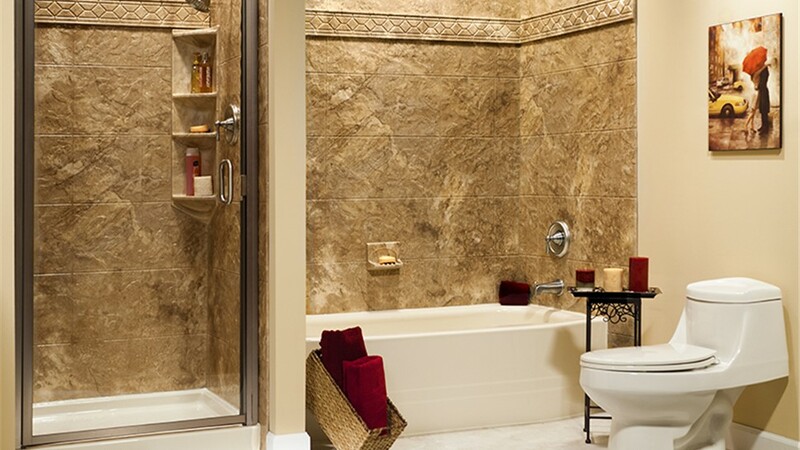 As fully licensed and certified bathroom remodelers who have been proudly serving Dallas homeowners since 2001, Center Point Renovations is the name you can count on for an exceptional bath renovation experience! Just give us a call to get more information on our custom enclosures and bathroom remodeling services, or fill out our online form to get started with a free estimate today!